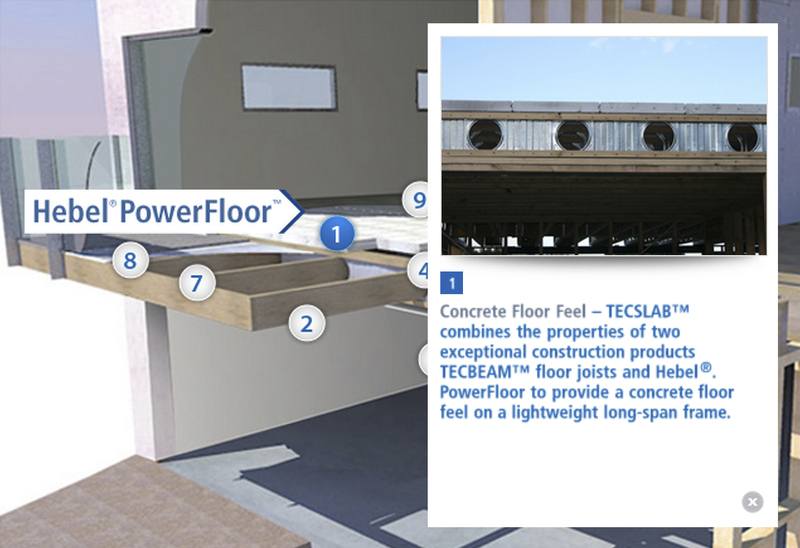 The TECSLAB™ system provides a superior long-spanning and high load capacity floor with the feel of a concrete slab. It offers a lightweight construction alternative in most low to medium rise structures, including transition floors above car parks. 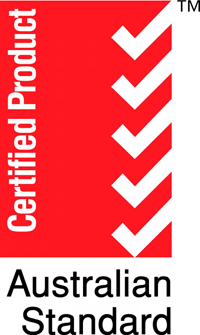 Market Applications include multi-residential apartment buildings Class 1, 2, 3 and 9c up to 4 storeys. 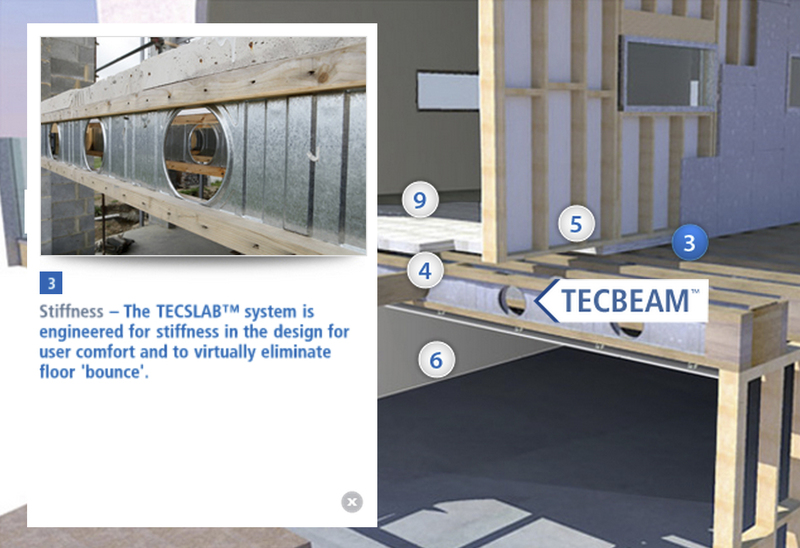 TECSLAB™ combines the properties of two exceptional construction products TECBEAM™ floor joists and Autoclaved Aerated Concrete (AAC) panels to provide a concrete floor feel on a lightweight long-span frame. 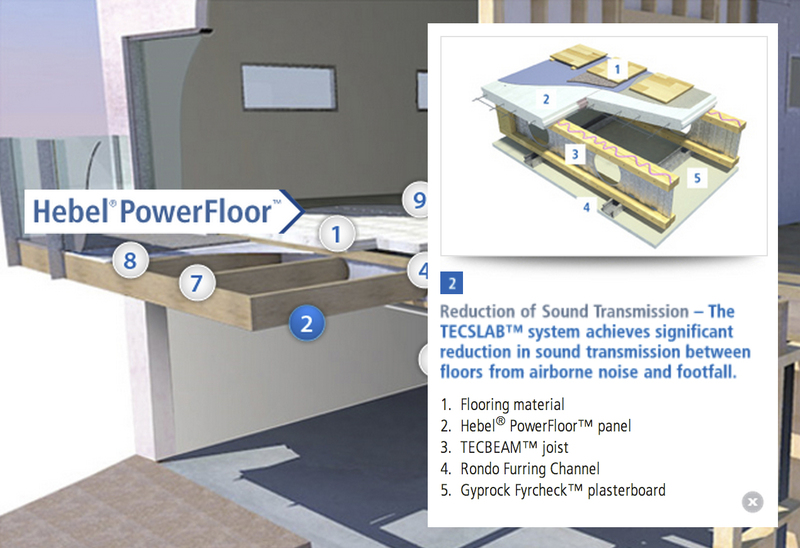 The TECSLAB™ system achieves significant reduction in sound transmission between floors from airborne noise and footfall. 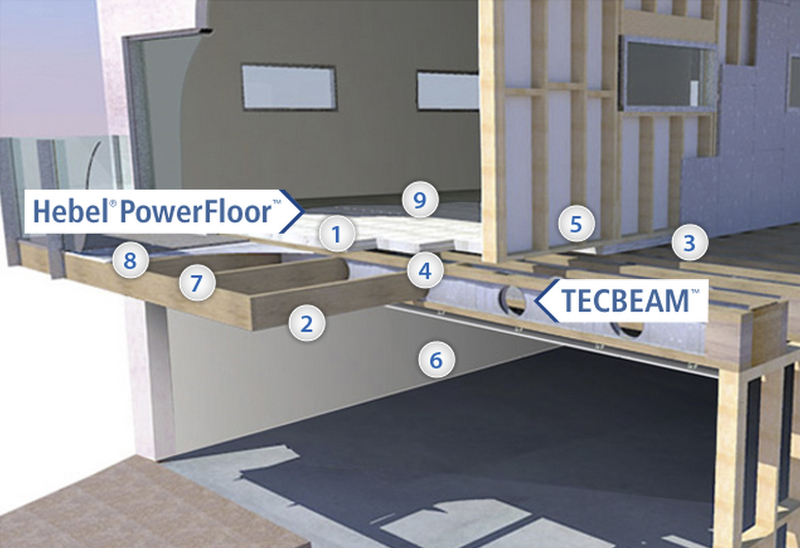 The TECSLAB™ system is engineered for stiffness in the design for user comfort and to virtually eliminate floor ‘bounce’. 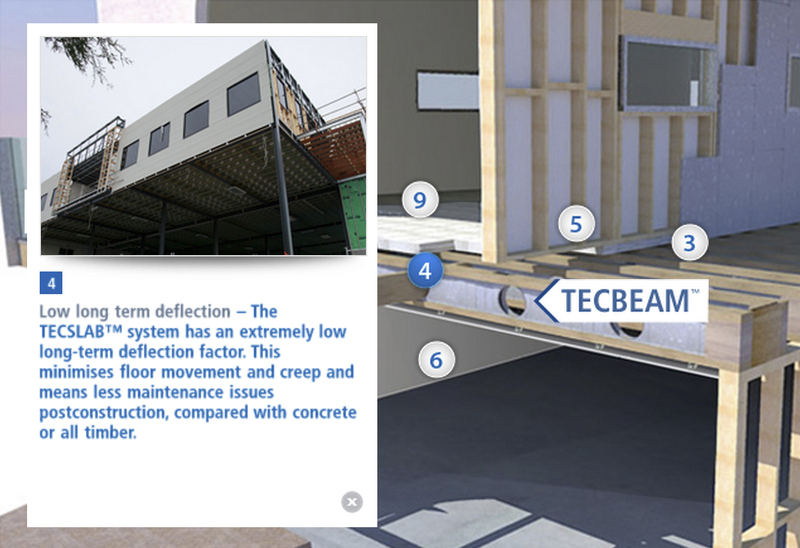 The TECSLAB™ system has an extremely low long-term deflection factor. 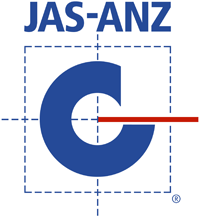 This minimises floor movement and creep and means less maintenance issues postconstruction, compared with concrete or all timber. 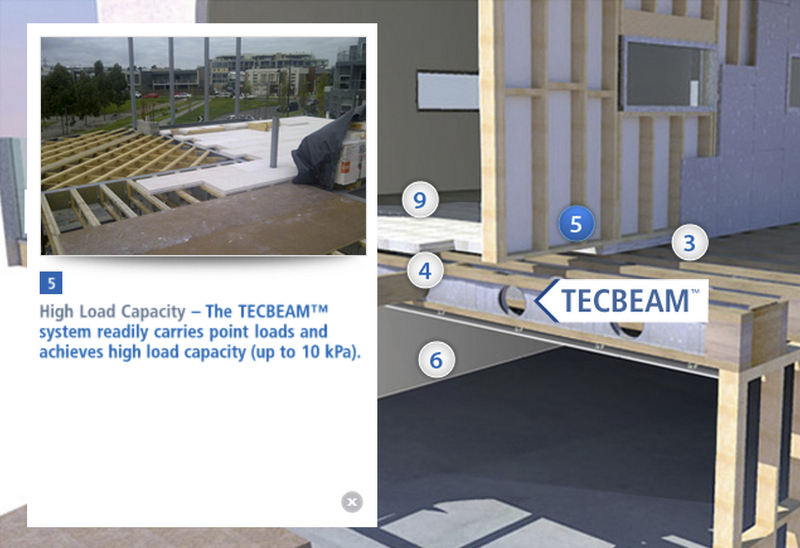 The TECBEAM system readily carries point loads and achieves high load capacity (up to 10 kPa). 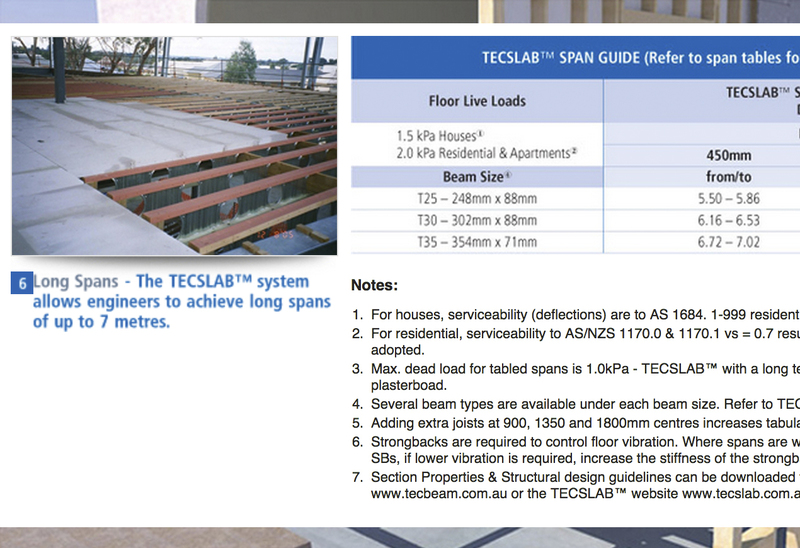 The TECSLAB™ system allows engineers to achieve long spans of up to 7 metres. 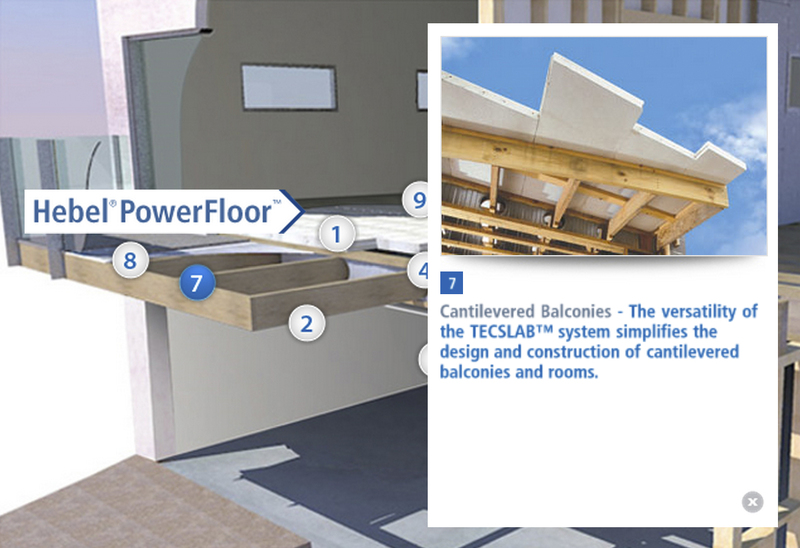 The versatility of the TECSLAB™ system simplifies the design and construction of cantilevered balconies and rooms. 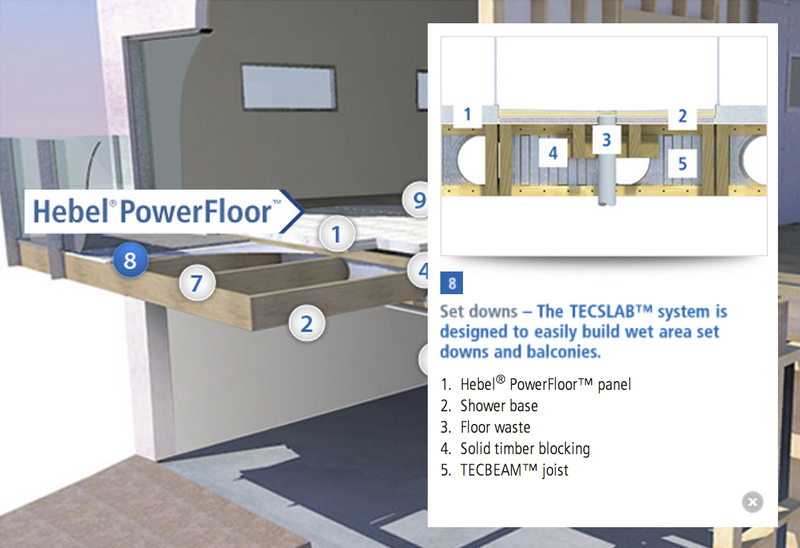 The TECSLAB™ system is designed to easily build wet area set downs and balconies. 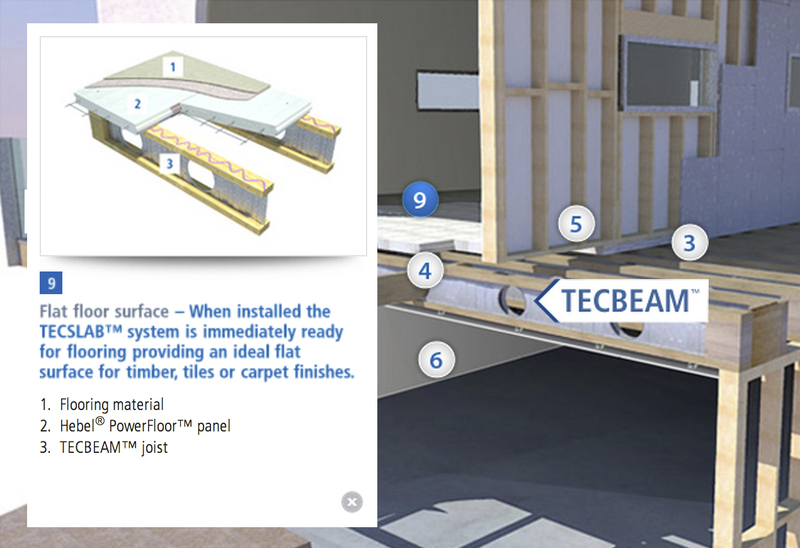 When installed the TECSLAB™ system is immediately ready for flooring providing an ideal flat surface for timber, tiles or carpet finishes.